HM695-124, Benmore Valley wine & bar cabinet by Howard Miller. 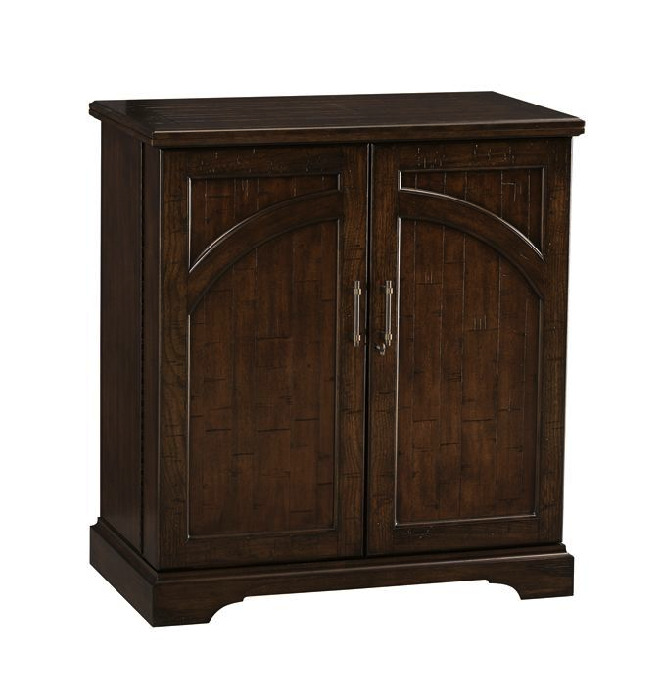 The Benmore Valley wine & bar cabinet comes finished with Rustic Hardwood. With an authentic distressing, the cabinet also comes designed with raised decorative panels on the front doors, and back of the unit. A unique, fully finished piece of wine furniture that has a bar top that slides to the left and flips open, extending the surface area of the top of the wine bar to 77" in width. Door hinges also extend 180°, to allow wine bar doors to open wide for easy serving. 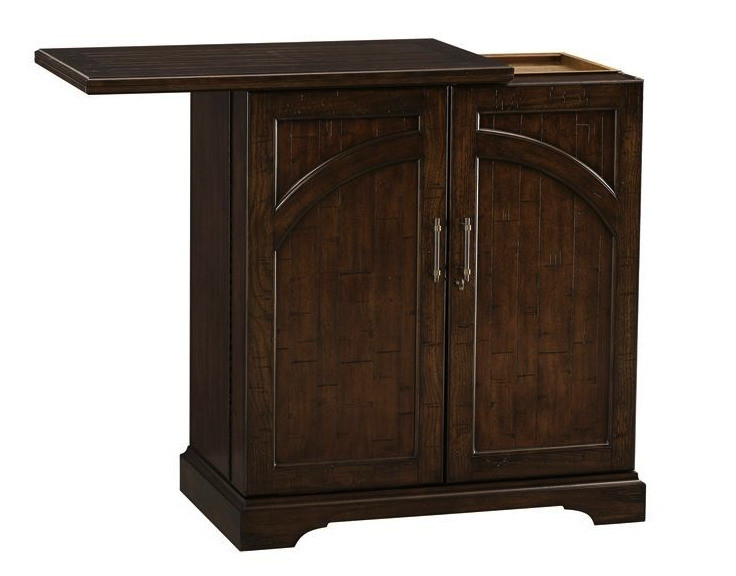 Wine bar also includes one drawer for wine accessory storage.